The Eagles start their extremely important summer series this weekend. A lot of eyes are going to be on their match against Ireland but more importantly for the team is their World Cup qualifying series against Canada. The U.S. has had the better of Canada recently but with stars like Blaine Scully and Samu Manoa out with injury it could be close. 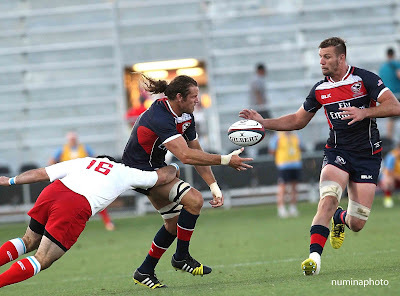 In addition to the Eagles the Junior All-Americans face an important series against Canada to qualify for the Junior World Rugby Trophy. We thought it would be nice to provide our readers a schedule of what's coming up and where they can watch. 5:00 p.m. et/2:00 p.m. pt.